Another beer Mrs. Sip and I enjoyed on our recent trip to Central City’s downtown brew pub was the Four Winds Tiger Style Ale. The brew is designed to replicate Tiger Stripe ice cream, with flavours of dark chocolate, coffee, vanilla, licorice, and orange. I’m not sure how close the beer actually comes to the ice cream, having not had a serving of the dessert for many years (do they even still make it? ), but I can vouch for the beer being delicious. I like Four Winds penchant for experimenting with different ingredients and combinations and this was another success, in the Sip Advisor’s book. Mrs. Sip really enjoyed this beer, but wasn’t overly familiar with its ice cream inspiration. I think we should both try and track down a scoop before trying the beer again and see just how close it actually comes. The Tiger Style Ale was originally only available in Four Winds Delta-based tasting room, so I think Mrs. Sip and I were particularly lucky to come across it on the Central City Brew Pub seasonal beer menu. More on the another brew pub selection with tomorrow’s article! 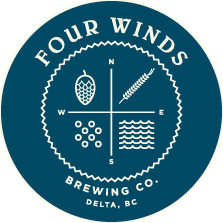 This entry was posted in BC Beer Baron and tagged BC Craft Beer, Central City Brew Pub, Craft Beer, Four Winds Brewing, Tiger Stripe Ice Cream, Tiger Style Ale by Daniel Wilson. Bookmark the permalink.